so i really wanted some italian food for dinner tonight. i also didn’t want to make a grocery trip & wanted to use some TVP. 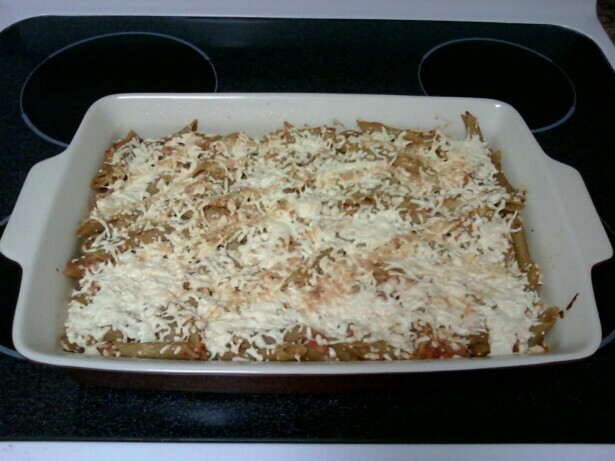 i went through a bunch of books for inspiration, and found the baked ziti in quick and easy vegan comfort food, pg. 123. mine is a little stepped up version since i had extra time to spend today, but her version would be great for a weekday. the other nice thing is i have it in the fridge all ready to go until i’m ready to bake it. ps- a frugal thing i’ve been doing is using vegan bouillion cubes for broth. a box of 8 cubes is about $2 and change, and makes 16 cups! 1 lb. 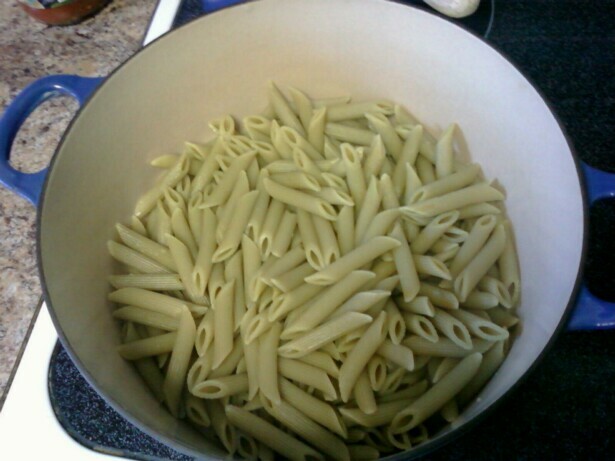 of cooked short pasta, penne, ziti, etc. 1. 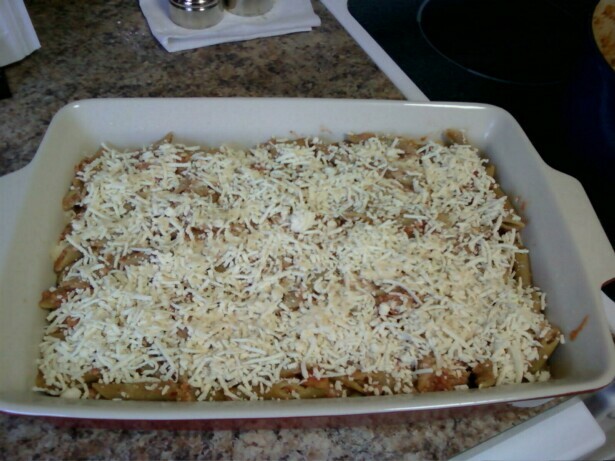 Pre-heat oven to 350* and cook pasta according to package directions. 2. Boil 1 cup of vegetable broth and liquid smoke in a medium saucepan. Remove from heat and add TVP. Stir until liquid is absorbed. 3. 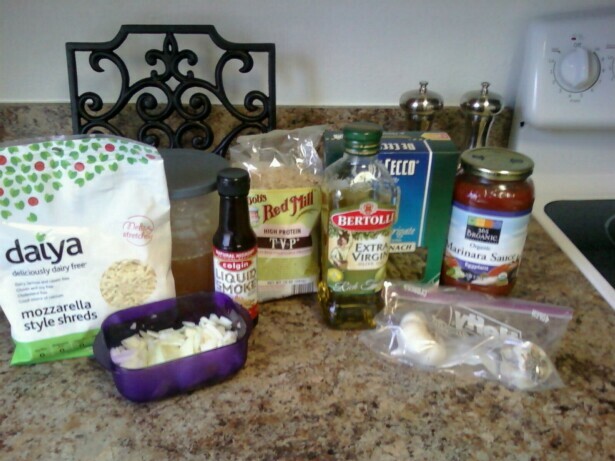 Return drained pasta to pot and add all ingredients except vegan mozzarella and vegan parm. 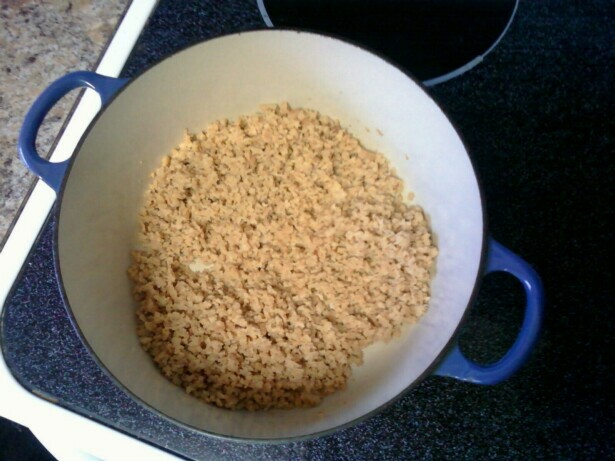 the nutritional yeast gives it a nice creaminess. 4. 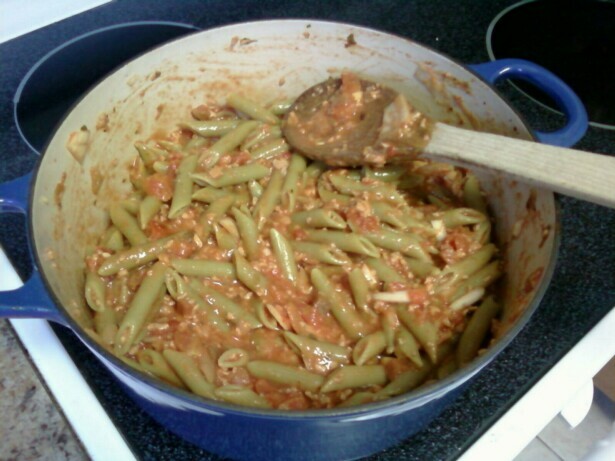 Place half of pasta mixture into 9×13 prepared dish. Top with half of mozzarella and sprinkle with vegan parm, if using. Repeat layers. 5. Cover with foil and bake for 20 minutes. Remove foil and bake for an additional 10 minutes. Broil on high for a few minutes to get a nice crust.